The Urban Politico: Dear America, You are NOT Worth a Discussion! DEAR AMERICAN PEOPLE YOU ARE NOT WORTH A DISCUSSION! 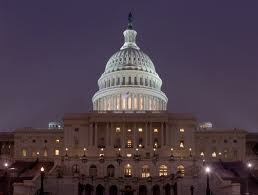 Tuesday evening the US Senate voted 51- 48 to filibuster the American Jobs Act. The vote was a procedural motion to begin debate. The senate through this vote has told the American People "you were not even worth a discussion" by the US Senate. Once again, Congress has given the American People the "middle finger." I won't bore you with all of the details or attempt to calm my frustration and give you a rationale analysis of the actions taken by the US Senate. I would like to direct your attention to the votes and an estimation of jobs that each member killed for their state. I've also taken the liberty of attaching the White House Fact Sheet for each state. Digest this! Did your member of congress vote against the American Jobs Act? If so, how do you feel? What do you think about the US Congress? What should be the President's next steps to put Americans back to work? Are you tired of discussing how terrible our Congress is?